Yesterday afternoon (9 May 2018), the All-Party Parliamentary Group for Tibet  hosted a roundtable discussion on the issue of access to Tibet, led by Matteo Mecacci, President of the International Campaign for Tibet (ICT), who presented a new ICT report to the group. The issue of access to Tibet has long been a sore point of discussion for the Chinese authorities. Despite claims to the contrary by government officials in Beijing, Tibet remains largely closed to foreign visitors . The detention and subsequent expulsion of two New York Times journalists who were visiting Eastern Tibet in February 2018 is but one of China’s more recent attempts to limit who enters the territory and control what kind of information reaches the outside world. In addition to being a major human rights concern, the roundtable discussed how such measures are also highly political in nature and reflect an unwillingness by the Chinese authorities to engage in reciprocal relations with other states, including the United Kingdom. While European leaders and Parliamentarians, including French President Emmanuel Macron and German Chancellor Angela Merkel, have referred to reciprocity as a key principle in terms of their bilateral relations with China, discussions have often stopped short of addressing the wider issues. Acknowledging that reciprocity is an important tenet of international relations, beyond trade, Matteo Mecacci briefed MPs, representatives of the UK Foreign and Commonwealth Office, NGOs and members of the public on new developments currently taking place in Washington, where Members of Congress have introduced bipartisan legislation, the Reciprocal Access to Tibet Act, to promote freedom of movement and an open and accessible Tibet for American citizens and for Tibetans themselves, including the Dalai Lama. 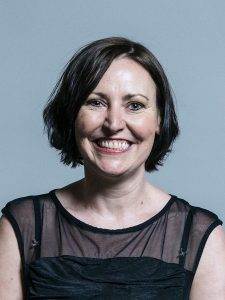 Similarly, while Chinese citizens, diplomats, journalists and NGOs traveling to the UK have unimpeded access to all of the UK, the same cannot be said of UK citizens visiting Tibetan areas. 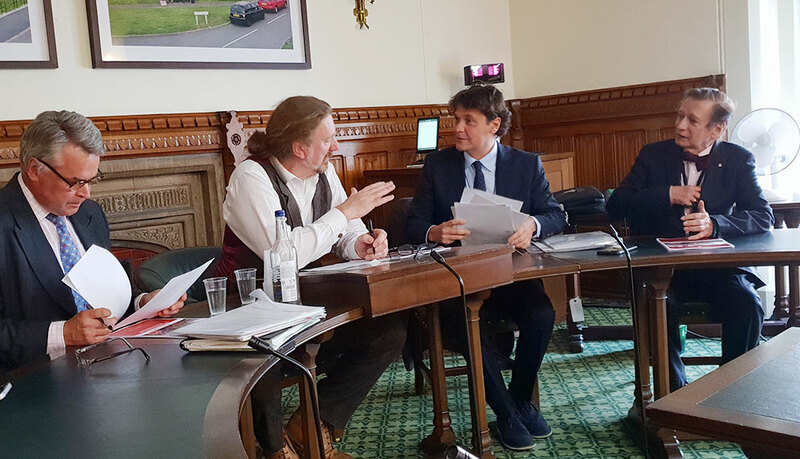 In addressing this issue, the APPG for Tibet discussed new ways forward for political advocacy in the UK and Matteo Meccaci provided an insight into how the UK government can press for a more reciprocal and fair relationship with China. Following the roundtable, civil society organisations from a range of NGOs attended a private meeting to discuss ways forward to address this issue at the UK level. Members of the APPGT: Tim Loughton MP for East Worthing and Shoreham (co-chair), Chris Law MP for Dundee West (co-chair), Kerry McCarthy MP for Bristol East, Karen Lee MP for Lincoln, Nic Dakin MP for Scunthorpe, Patrick Grady MP for Glasgow North, Caroline Lucas MP for Brighton, Pavilion, Catherine West MP for Hornsey and Wood Green, Kate Hoey MP for Vauxhall, James Gray MP for North Wiltshire, Mark Pritchard MP for The Wrekin, Lord Steel of Aikwood, Lord Alton of Liverpool, Barbara Keele, Sir Peter Bottomley and Tibet Society (APPGT Secretariat). In the last 20 years, China has allowed only two UN High Commissioners for Human Rights to visit the country in order to assess the human rights situation: Mary Robinson in 1998, and Louise Arbour in 2005. Similarly, the UK government’s requests to visit the country have fallen on deaf ears. Although a UK diplomat was granted access to Tibet in June 2014 on an escorted visit, requests to visit Tibet since then remain outstanding.